DeSL’s Color Lifecycle Management™ can define, manage, and control color from design to production. Join us for this 30-minute webinar to explore how DeSL CLM integrates color accuracy throughout your entire supply chain. 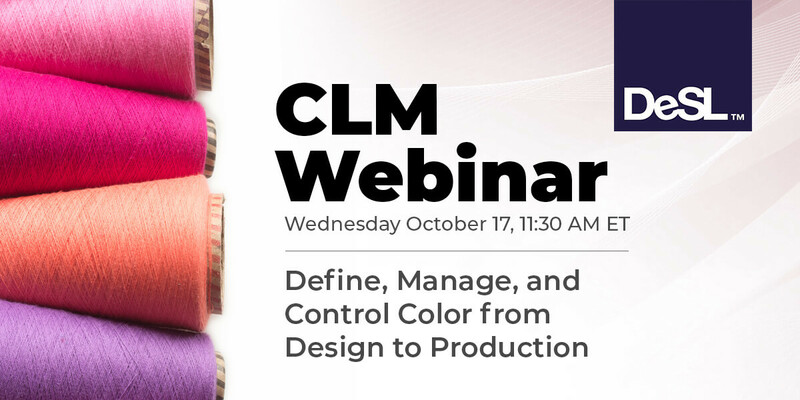 Last chance to register for our “Define, Manage, and Control Color from Design to Production” webinar on October 17th.